Are you a Doctor, a Dentist, or a Nurse? Why not train in facial aesthetics yourself? Expert injector Doctor Cormac Convery heads up The Ever Clinic’s training division. Dr Convery started his medical education at the University of Dundee, graduating in 1996, which led to a career as a General Practice Partner. With a passion for Medical Aesthetics, Dr Cormac has undergone extensive specialist post-graduate training including completing a masters level degree (MSc with distinction) in Aesthetic Medicine at Queen Mary University of London and the Blizzard institute at Barts and The London’s School of Medicine, where he was then asked to be an Honorary Faculty Member. 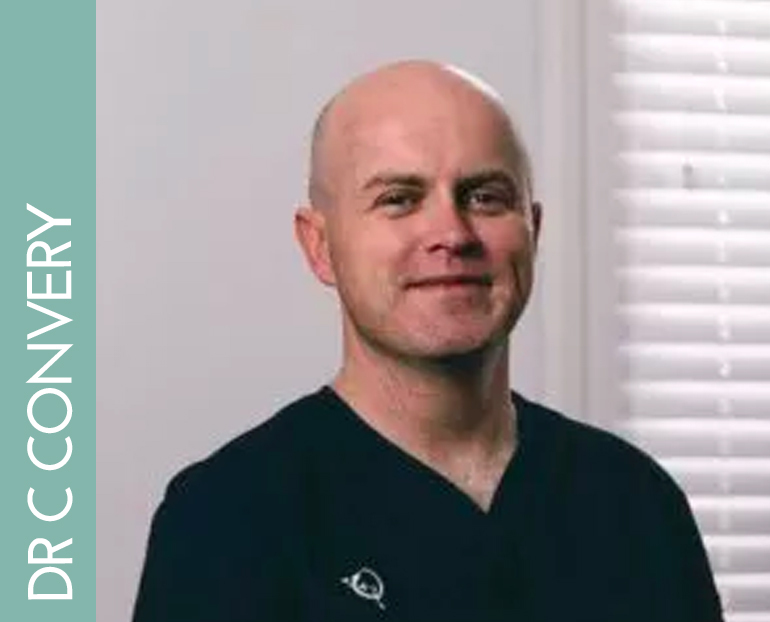 Doctor Cormac’s training sessions are for a maximum of 3 delegates on any one course or one on one, at your clinic, allowing him to dedicate and fully tailor the days learning to your specific needs. On completion of the course you will be fully qualified to carry out facial aesthetics. Dr Cormac believes that small groups (max of 3 places per course) provide the best environment for hands on learning. They are comfortable and unthreatening, also offering the opportunity to learn in a variety of ways. Over the last few years, Dr Cormac has observed that people gain alot by watching their peers and seeing how they learn too. Do delegates learn from discussion, directly learning during the practical session, and also observing the personal journey of a small number of others. We have also found that those who learn together stick together, this being extremely helpful to those wanting a network of support during their journey in Aesthetic Medicine. Of course, there are situations where 1:1 sessions are best and Dr Cormac is keen to facilitate the best environment for each individual.